Businesses need to have reliable and dependable service providers. As a local Commercial locksmith, Fast Locksmith Roswell takes our locksmith business very seriously and our reputation reflects that. From efficient service to reasonable prices, you can count on FastLocksmithRoswell.com to be both reliable and dependable for all of your business locksmith needs. Fast Locksmith Roswell train our locksmiths to provide you with quality work, using only the best and most trusted equipment. Businesses need emergency lockout services for a variety of reasons; office keys are locked inside, key breaks off in the lock or the lock just does not work properly. No matter why you need our outstanding locksmith services, Fast Commercial Locksmith in Roswell will be more than happy to provide you with our emergency lockout service. Our locksmiths are trained to quickly get you back inside and we provide our lockout services morning, noon or night. At Fast Commercial Locksmith Roswell, you will find that our locksmiths are courteous and professional; they know that you have no time to waste and they will waste no time getting you inside. Commercial door locks are not as easy to replace as residential locks; when you need to replace your commercial door locks, call us. One of our skilled locksmiths will come to your business with all of the tools needed to repair or replace your locks. 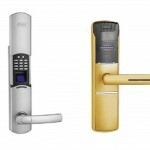 Fast Locksmith Roswell can install new locks or help you decide if you want to upgrade to high security locks. In addition to commercial lock replacement, we also provide commercial lock re-key services. Call us 24/7 to get professional and Fast Locksmith in Roswell, GA (770) 679-3117.